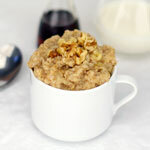 In a medium saucepan, bring water to a rolling boil, add salt if desired, and pour in the oatmeal, stirring to the mix. Over medium heat, cook the oatmeal for about 5 minutes until all the water is absorbed. Put into bowls and drizzle desired amount of maple syrup on top and the stir in cinnamon and raisins. This recipe will make 6 cups of oatmeal. It makes a great breakfast on a chilly morning with a refreshing glass of orange juice. 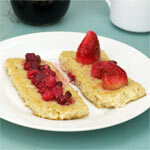 Mr Breakfast would like to thank laplant77 for this recipe. 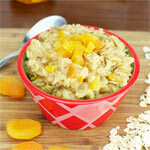 What do you think of Goldilocks Oatmeal? We added strawberries to the reciepe and my non-oatmeal eating daughter even ate it! Awesome! 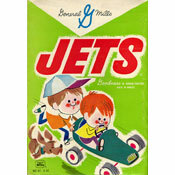 My son loves it and he is a VERY picky eater. I guess the name helps. This oatmeal is very good. 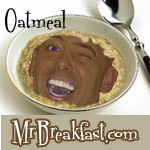 Don't drench the oatmeal with maple syrup, it will make it soggy. Put in 1 to 2 tablespoons. I enjoyed it!